If you need to return The DurandTM for any reason — damaged, defective or unsatisfied — please fill out the form below and give us as much detail as you can. We will look into your issue and follow up with instructions as soon as possible. Please also be sure to consult our terms and conditions if you have any questions regarding our return policy. I have opened hundreds of bottles flawlessly with The Durand. Typical issues of problem cork removal are eliminated with The Durand’s unique ability to stabilize the cork during extraction, eliminating side tension, the primary cause of cork fracture and breakage. 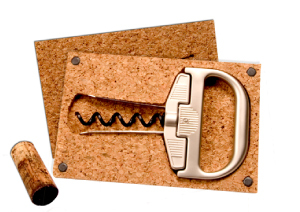 It is a “must-have” tool for the wine enthusiast and Sommelier to avoid cork removal issues. I give The Durand my highest recommendation.